Personalised Blue Valentine Gift Box. 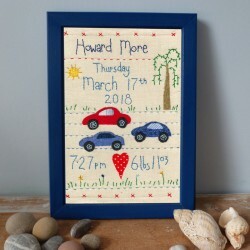 The perfect romantic gift for that very special person in your life. 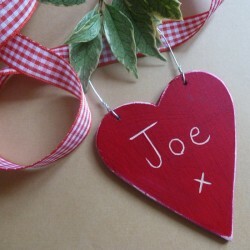 The handmade wooden heart is personalised with your own message of up to 15 words. Enter your personalised details in the box provided. The heart has a wire hanger and is finished with a bow. 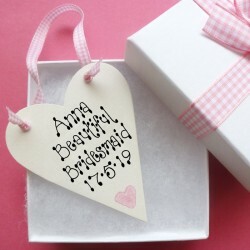 Beautifully boxed and tied with a bow and heart shaped gift tag. The Message in our picture is an example only. Please enter your complete message exactly as you wish it to appear. 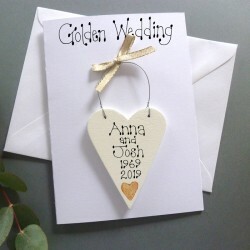 Personalised Valentines Card A personalised card to give, with a heart to keep forever. 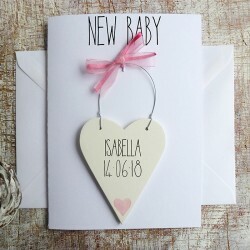 This ca..
Valentine Personalised Love Token A charming keepsake to send a message of love on Valentine Da..
Personalised Valentine Message Heart AVAILABLE IN 4 DIFFERENT COLOURS. 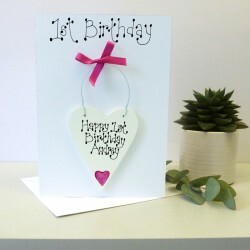 Personalised Valent..
Personalised Valentines Card for Him A personalised card to give, with a heart to ke..
Personalised Valentines Card for Her A personalised card to give, with a heart to ke..